Furzone 320 Molly Cordless Clipper Product Review by Anita Kelsey. As a professional cat groomer and behaviourist, who works holistically with cats, I am always on the look out for fantastic grooming products and I am thrilled to say I have found one! As a daily user of The Bravura Cordless clippers I thought I would not be able to find another clipper that would get me excited and yet the Furzone 320 Molly Cordless Clippers have come up trumps. A clipper perfect for grooming cats I must add!!! 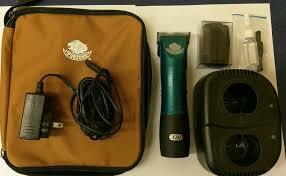 Their 320 ‘Molly’ Cordless Clippers are fantastic especially when doing the teddy cut with their 3/8 comb attachment. The clippers arrived in a handy zipped material case which comes with pockets for the charger, oil, blades, plug and clipper brush. The carry case fit easily into my grooming bag alongside other equipment which is always a major consideration for me when buying grooming tools. Everything is very easy with Furzone 320 Molly Cordless Clippers. A small booklet comes inside the carrier with simple easy to follow instructions. Charging both batteries overnight (aprox 2 hours charging time in the dual battery loading station) ensures 100 minutes of usage (per battery) with the blades not overheating like previous clippers. Cleaning of the blades is easy and takes seconds with the cleaning brush (supplied) and clipper oil (supplied). The attachable battery is easy removed from the clipper body via a simple sliding lock. 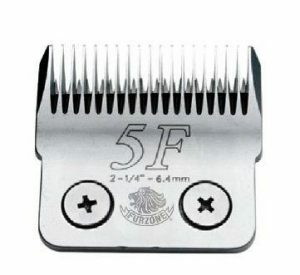 Most groomers are familiar with A5 blades. They are named after the Oster A5 clipper invented in about 1924. The A5 blade has changed very little since then and has MANY PROBLEMS. The most annoying of these problems is they get hot because of the spring tension. The second most annoying problem is they use a drive mechanism that wears out and needs replaced. Enter the the D-Series… The drive mechanism is on each blade. They are extremely quiet, sharp, and run cool forever. On the 320 clipper they run at 4,600 strokes per minute. They cut very smooth and fast. They stay sharp longer. 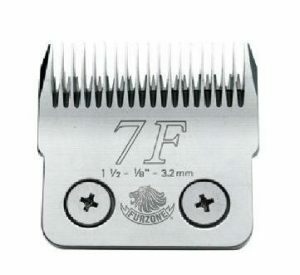 Any D-series blade that you purchase from Furzone Cordless Clippers USA INC comes with a 6 month sharp garranty. If the blade gets dull, send it in and they will sharpen it for free. A first in the industry! Their are many blades to choose from which can be seen and purchased from HERE. I love the fact you can buy different sized blades for any length of cut. Perfect for a cats coat. 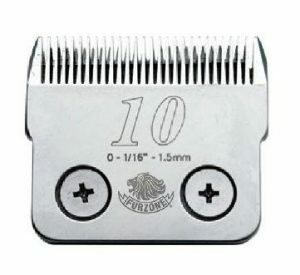 The blades I personally have used so far are the #10 and the #40 with a 1/8 3mm comb guard for doing a teddy cut. I was thrilled with the results. The clipper is powerful and glides through the fur making matts easy to clip and the teddy cut a dream. They are quiet clippers, perhaps not as quite as the Bravura (pretty damn close though!!) but quieter than most other major brand clippers on the market. However, the Furzone 320 Molly Cordless Clippers make it up with the power and speed of the blade. This means any jobs are done much quicker and with precision and ease. They are comfortable and light to hold too. Very important for the busy groomer. MY TEDDY CUT GROOMING TRIAL VIDEOS FEATURING MOLLY! I have been using the Furzone 320 Molly Cordless Clippers for 3 weeks now and yesterday had the chance to video a teddy cut using them on a Ragdoll cat called Molly. Molly HATES being combed but doesn’t mind being clipped so her mummy and myself decided the way forward is the teddy cut so that she doesn’t get matted. No cats were harmed ion the making of this video and after the groom Milly went and had her lunch and then played with her Zebedee catnip mouse (a present for all cats I groom). Accessories: Instruction manual, brush, lubricant, adaptor, spare battery. I am extremely thrilled with the Furzone 320 Molly Cordless Clippers. They are perfect for grooming cats, powerful, quite, light and professional in every aspect. I like the fact they come with various length blades and comb attachments and that they do not overheat. My teddy cuts were far easier than using any other clipper and gliding through matts is now a walk in the park. I am sure these clippers will do extremely well and should be tried by all cat groomers and especially ones that work holistically with cats. Molly gives a paws up to them too. NOTE For groomers ordering from the UK. Unfortunately there is a tax/customs charge to pay which cannot be avoided. This is until the Furzone get UK distribution. I paid around £53 for tax and customs charges but, at the end of the day, was happy to do so to get clippers of this standard. 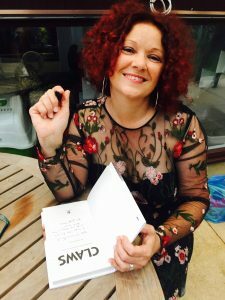 Anita Kelsey holds a first class honours degree in Feline Behaviour and Psychology (work based BA Hons) and runs a vet referral service dedicated strictly to the diagnosis and treatment of behaviour problems in cats. Middlesex University also awarded Anita the Gerry Fowler Prize for achievement in recognition of her work and final result. Anita is also a specialist mobile cat groomer who works closely with vets on aggressive or phobic cats. She writes for Your Cat magazine and is on their experts panel for cat grooming.